It used to be just teens who left homework lying around all the time, but now the children do too! EAxis added code to the homework actions which was designed to cause sims leave items on a surface (desk or table) when their next action was compatible with staying at that surface UNLESS they were in a cafe. Unfortunately, that means the sim would leave their homework lying there when they did finally decide to leave the table or desk. Also, if they were doing homework anywhere else (not a surface) the sim would reset and drop the homework at their feet. Rather than trying to fix this "feature" I thought it best to just take it out, and that seems to work well. 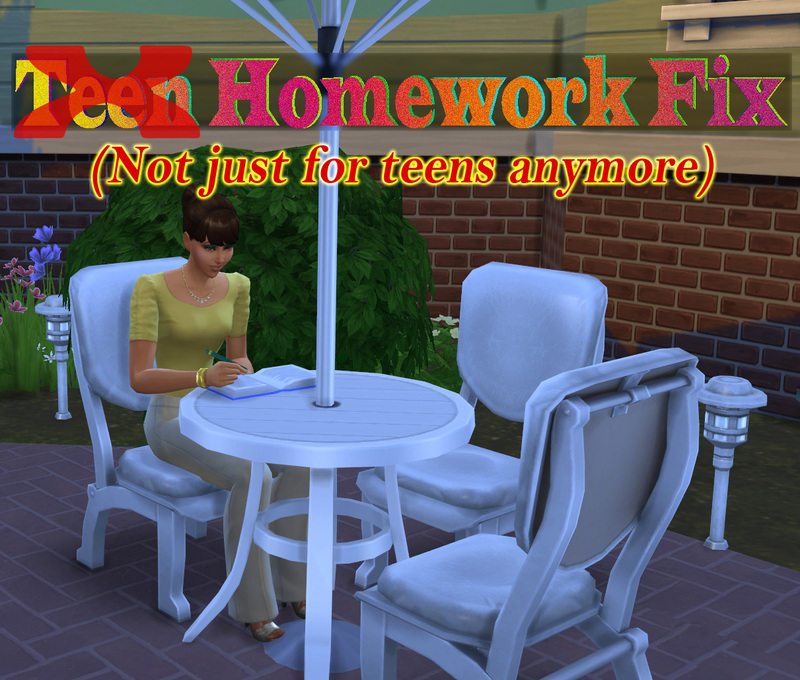 This mod removes that code from all homework actions for both child and teen sims, and instead restores the old default of "just pick your damned homework up" all the time. Of course, this doesn't always work, because this is The Sims 4 - but it works far more reliably (100% in testing, but odds are it won't work everytime). The initial release of this mod was written with The Sims 4 version 1.14.49.1020 (January 7, 2016 game patch), but should work with versions 1.13.104.1010 (December 4, 2015) and newer. This is a simple XML tuning mod, so just extract the package file from the download zip file into your game's mods folder, or a subfolder. 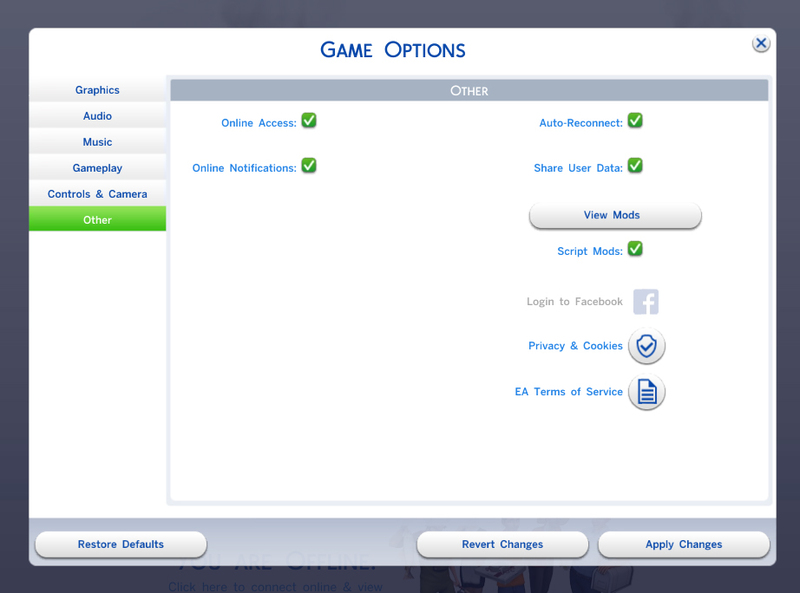 This mod may cause conflicts with other mods which change the homework interactions for children and teens. Click the spoiler below for the list of all interactions which are overriden.